Here we are and it’s Boxing Day already. Traditionally this is the day we visit our friends and deliver ‘boxes’ ie presents. I love the special feel of this day. 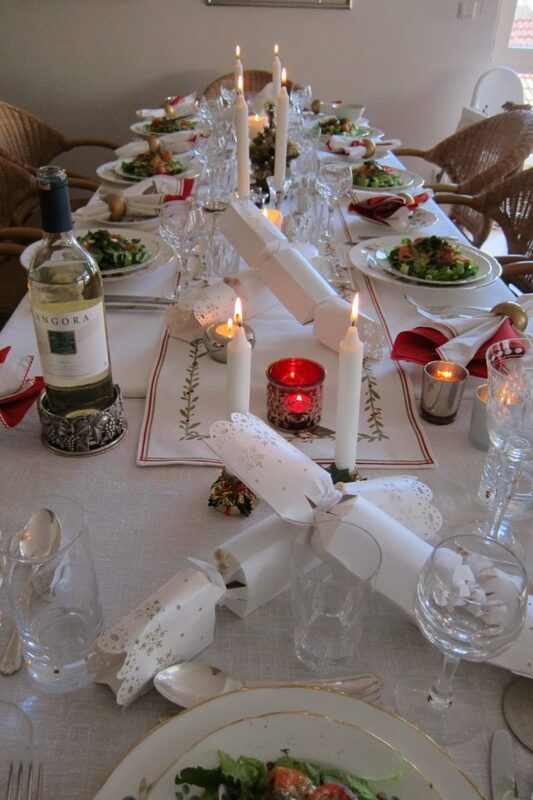 But here, in my house, we had the big celebration yesterday and the run up to Christmas was pretty special too. Daughter No 1 is up in the sky and Son Cem is due to fly out tonight. We have enjoyed every minute of their visits with us here in Istanbul. Talking culinary, yesterday was quite special because call me crazy, I decided to challenge myself by making two dishes, both for the very first time! 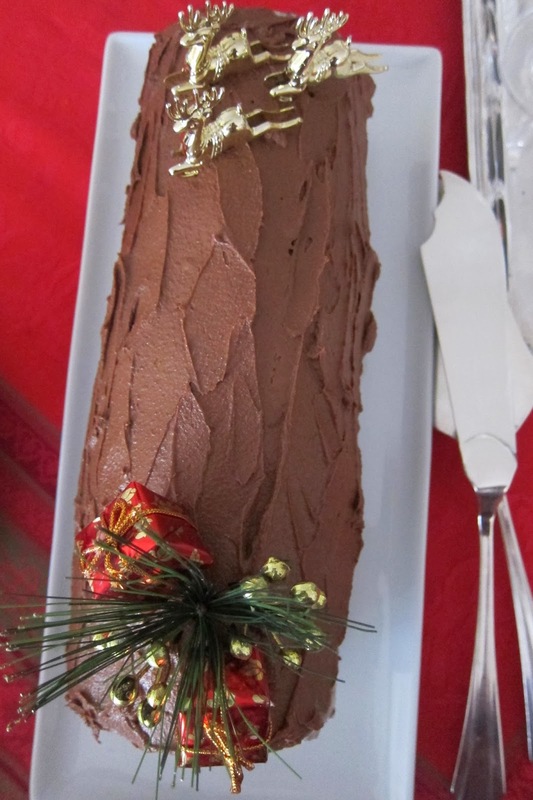 Instead of turkey, we had Beef Wellington and for my festive dessert along with the Christmas pudding and mincepies, I made a yule log aka buche de Noel – basically a chocolate swiss roll. I was actually very pleased – read inordinately happy! 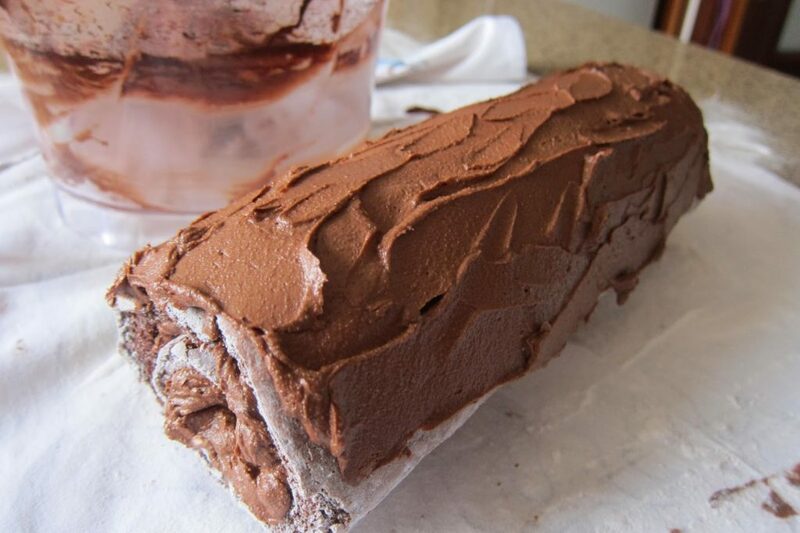 – with the Christmas log: I decided to go with a Betty Crocker recipe as I have successfully made a swiss/jelly roll following her guidelines before – she calls it a chocolate cream roll. I did check Nigella but decided against it when I saw her recipe included no fewer than 6 eggs. Of course this can be made – and eaten! – at any time of year, just decorate accordingly! NB You do need a special swiss roll tin – measurements below. Apologies for mixing American cup measurements with metric (ounces given too)! This is what comes of mixing Betty with Nigella :). 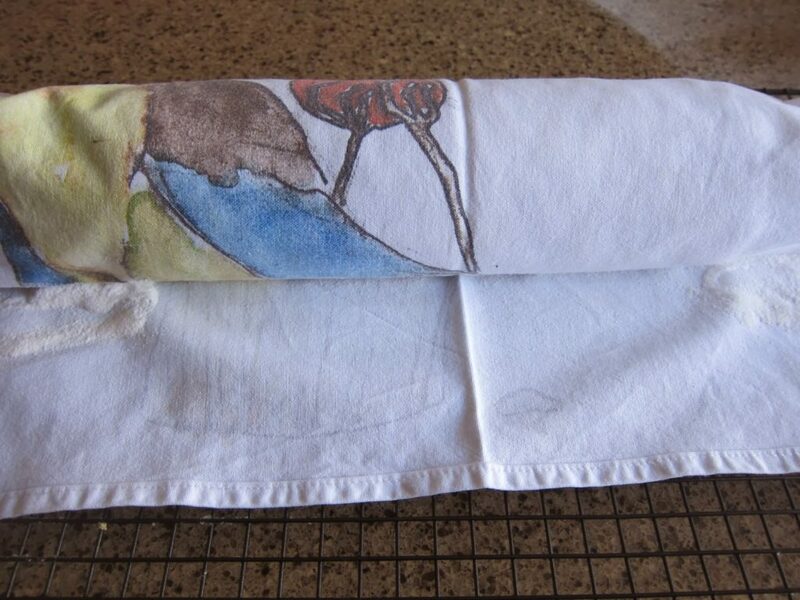 It’s all simple enough but you do need to take your courage in both hands when it comes to deftly turning out the cooked rectangle of sponge straight onto the tea towel! Just hold your breath and go for it! Pre-heat oven to 200C/375F. Line the swiss/jelly roll tin, 15½ x 10½ x 1inch/ approx 39 x 27 x 2½cm with foil or waxed paper, and grease with a knob of butter. Stir together flour, cocoa, baking powder and salt; set aside. 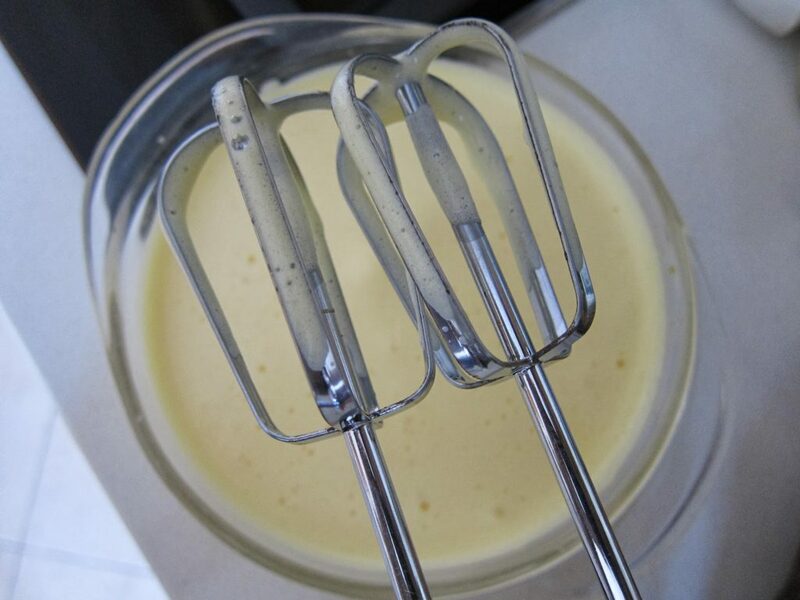 Beat eggs in small mixer bowl on high speed until very thick and lemon coloured, 3-5 minutes. 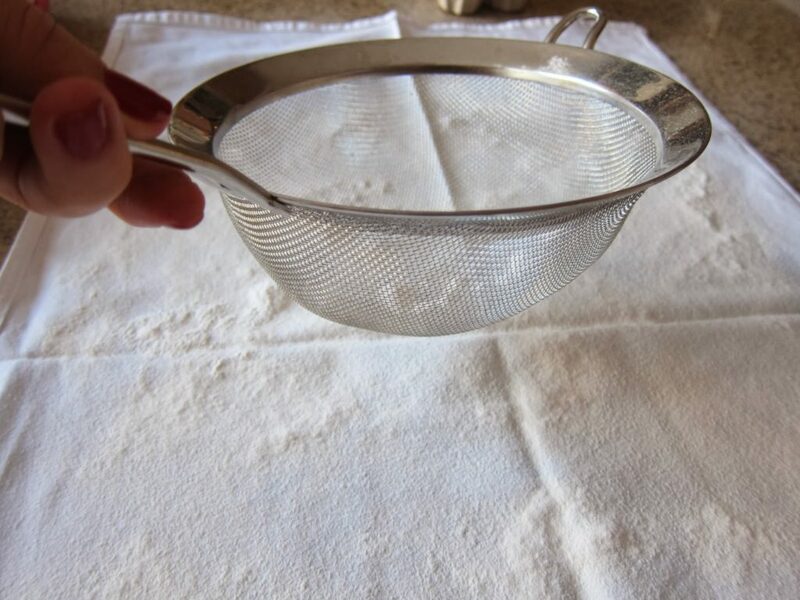 Pour eggs into large mixer bowl; gradually beat in granulated sugar. On low speed, blend in water and vanilla. Gradually add flour mixture, beating just until batter is smooth. Pour into pan, spreading batter to corners. Bake until toothpick inserted in centre comes out clean, 12-15 minutes. Loosen cake from edges of pan; invert on towel sprinkled with sifted icing sugar. Carefully remove foil, trim stiff edges of cake if necessary. While hot, roll cake and towel from narrow end. Cool on wire rack. IT CAN WAIT QUITE HAPPILY FOR A FEW HOURS JUST LIKE THAT. Whip the cream till stiff if using, and spread over the cake. 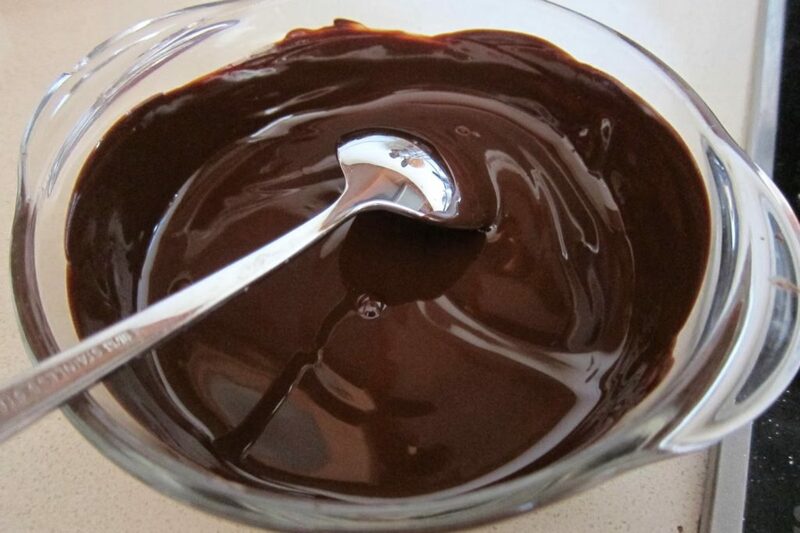 Melt chocolate in a heatproof bowl set over a pan of simmering water. DON’T LET THE WATER TOUCH THE BOWL. When melted, set aside for 15 mins. 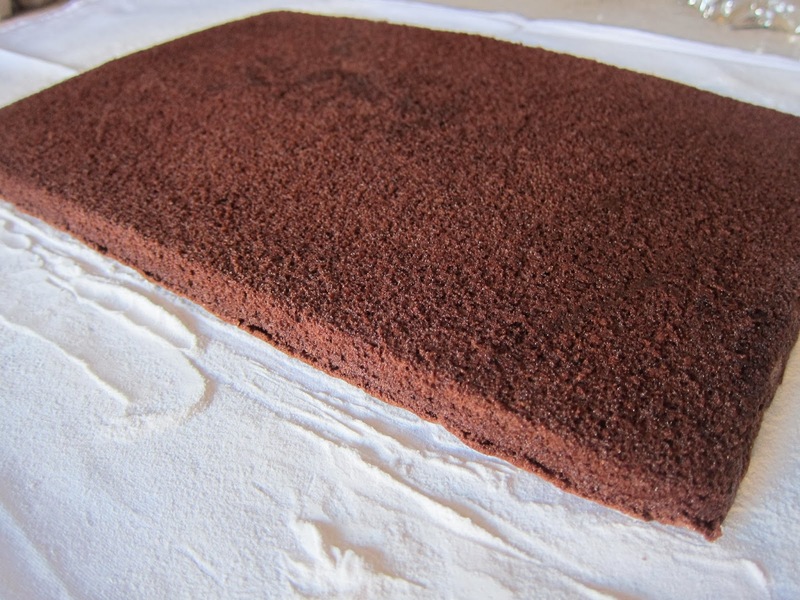 Unroll the cake, spread most of either the cream or the chocolate icing over the entire rectangle and then gently roll again. DON’T WORRY IF IT CRACKS A LITTLE: THE ICING WILL COVER IT. 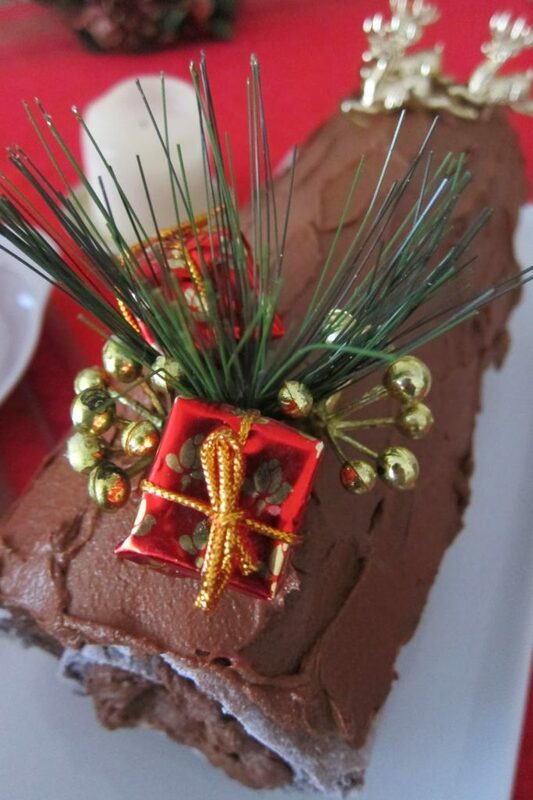 Use the remaining icing to spread over the rolled up cake. Then decorate! Lightly dust with icing sugar and serve with strawberries if liked.I LOVE THE COLOUR CONTRAST OF THE RED WITH THE CHOCOLATE. 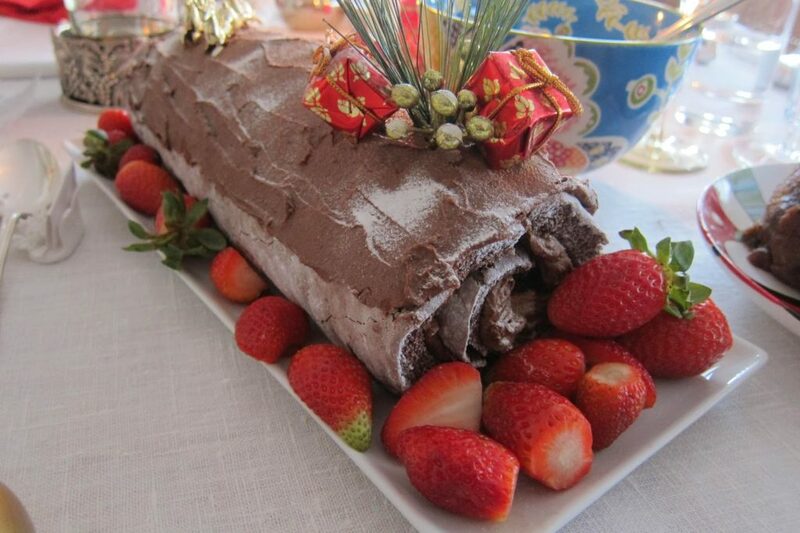 And here we have the completed Yule Log! This would be perfect for New Year’s too! Previous Post: « Ultimate Mince Pies from my Turkish Kitchen!